In this exhibition we are describing some of the issues surrounding the fifty, year whaling legacy, which took place during the last century in one of the most remote and beautiful areas of the planet, the sub-Antarctic Island of South Georgia. Two interactive installations explore themes of decay and renewal by incorporating historical photographs alongside contemporary digital image. 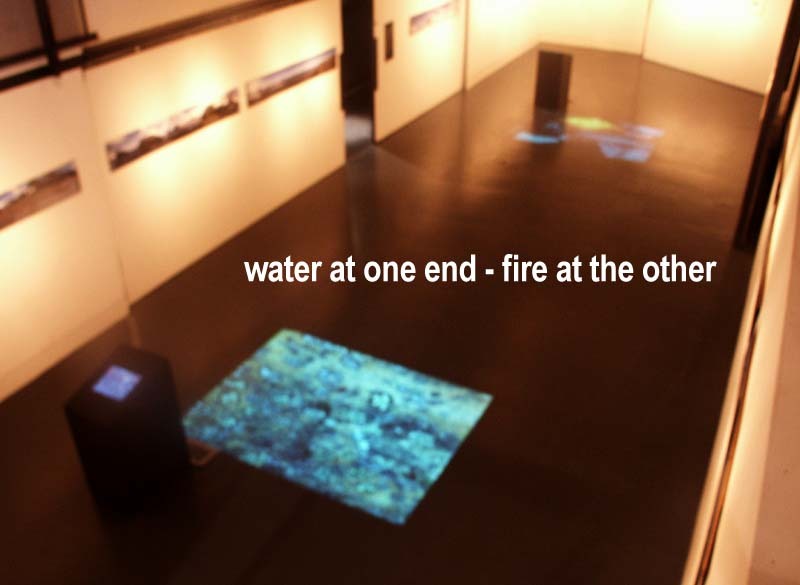 At one end – a “pool”– disturbing the water changes the image. At the other end of the gallery, you can create a virtual inferno that gradually engulfs the remains of the whaling stations. Both installations are intended to draw the audience into looking more closely at the issue, to hold the attention for longer than a simple photo might. In South Georgia there are sites of destruction as well as encouraging evidence of regeneration. Through our collaboration of printmaking and digital imagery we are researching the paradoxical issues surrounding the whaling legacy, the science and the human history, the devastation to the whale population and the damage to the environment. 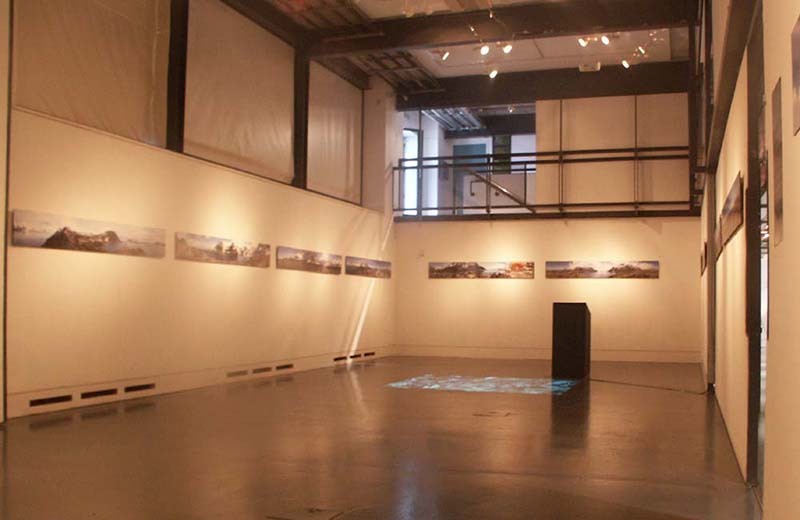 The outline of this research area also includes interdisciplinary development between art and design in response to environmental protection and historical exploration in the Antarctic. British Antarctic Survey, the Ministry of Defense, and the Foreign & Commonwealth Office. 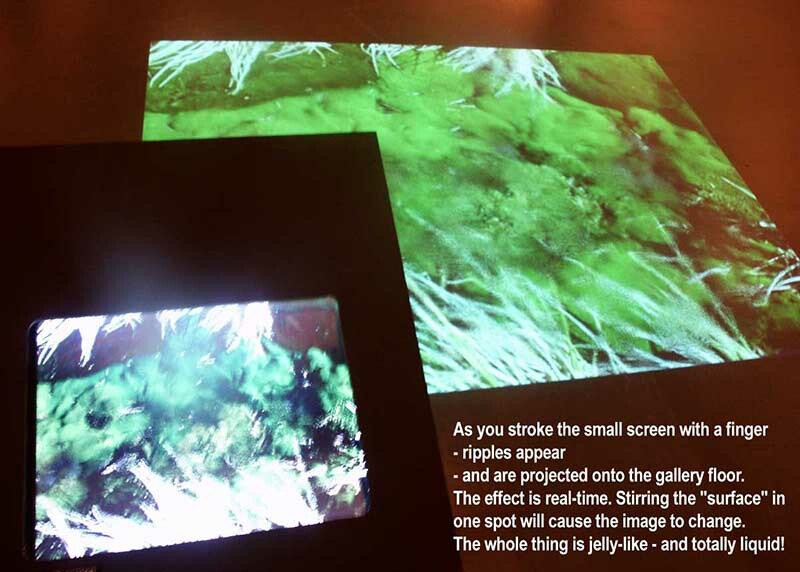 The making of the multi-media installation in the VRC, has been directly funded by an Interdisciplinary Research Award from DJCAD and Project Atlantis.